Recently I wrote a post about research investigating an interesting compound called Epigallocatechin gallate (or EGCG – click here for that post). Several eagle-eyed readers, however, noted something interesting in the details of one of the research reports that was discussed in that post. The study in question had used EGCG as a positive control for evaluating the ability of other compounds for their ability to inhibit the clustering of Parkinson’s-associated protein alpha synuclein. But there was also a second positive control used in that study. In today’s post, we will discuss what baicalein is and what research has been done on it in the context of Parkinson’s. Once upon a thyme, in a far away land, there was a mysterious little flowering plant. The “far away land” was the southern parts of eastern Siberia. And the flowering plant is Scutellaria baicalensis – which is more commonly referred to as Baikal skullcap. Baikal skullcap is a perennial herb that is indigenous to Southern Siberia, China and Korea. For centuries, traditional Chinese medicine has used the dried roots – which is called huángqín (Chinese: 黄芩 or golden root) – for a variety of ailments. 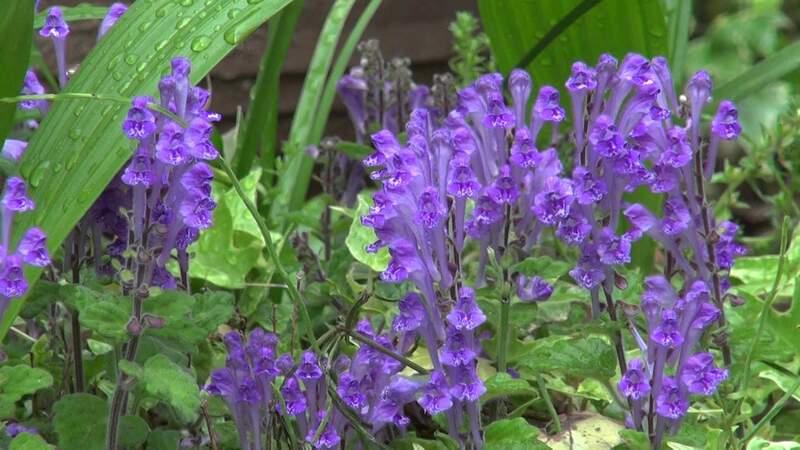 The plant grows to between 1-4 feet in height, with lance head-shaped leaves and blue-purple flowers. Baikal skullcap belongs to the same family of flowering plants (Lamiaceae) as thyme, basil, mint and rosemary. For traditional Chinese medicinal use, the roots are usually collected in spring or autumn once the plant is more than 3-4 years old. They are dried and then used to treat hypertension, to reduce “fire and dampness”, and to treat prostate & breast cancers. And one of the key constituents of Baikal skullcap (and huángqín) is a compound called baicalein.